(Nov. 15, 2016) — The full moon is bigger and brighter than it’s been in decades, delighting stargazers, photographers and anyone who has taken a moment or two to look up at the nighttime sky over the past day or two. In fact, NASA scientists say that the moon is brighter than it has appeared at any point in the last 68 years. When the moon reached its perigee, it was the closest to earth since 1948. 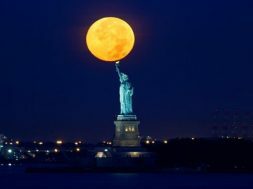 The next time the moon will be so close to the earth will be in the year 2034 so those who took advantage of gazing at the brilliantly luminous “supermoon” between Sunday and Monday were part of a rare cosmic occurrence. 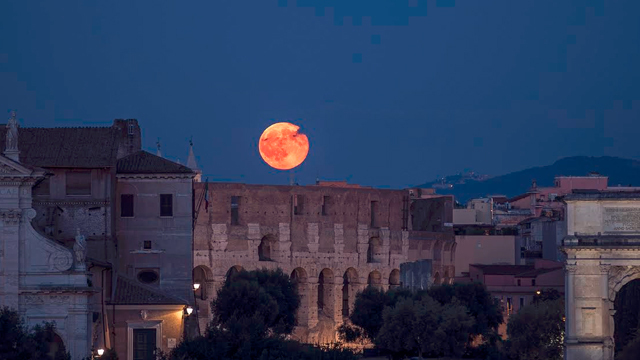 A “supermoon” occurs when the moon becomes full on the same day as its perigee, the point in the moon’s orbit when it is closest to earth. The term is borrowed from the pseudoscience of astrology but has been adopted by popular culture and astronomers. 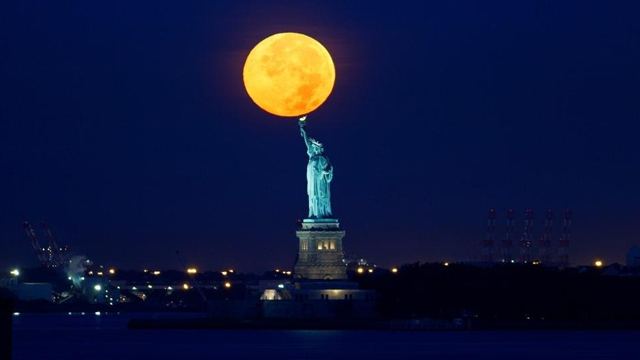 Supermoons generally appear to be 14% bigger and 30% brighter than other full moons. While such moons occur about every 13 months, November’s is a special one.